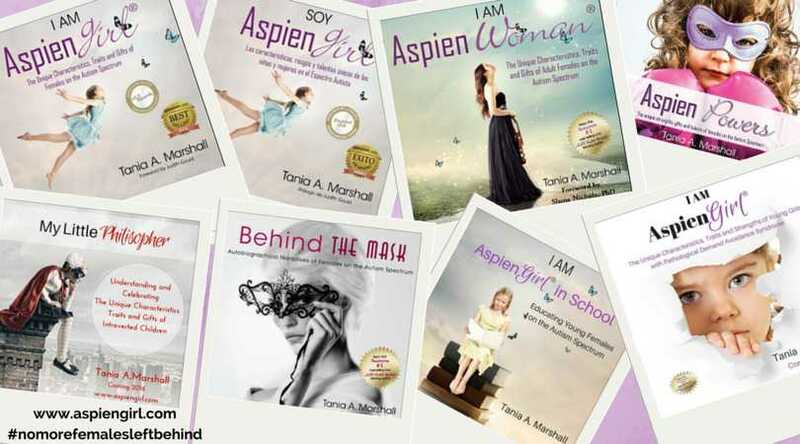 female autistic phenotype | Tania A. Marshall, M.Sc. I have worked with clients for over 20 years who have told me how they hide or not hide their Autism. Some autistic individuals can and some cannot or do not choose too. These behaviors are referred to as masking, camouflaging, assimilation, compensation, coping strategies, passing for normal, pretending to be normal or being a chameleon. 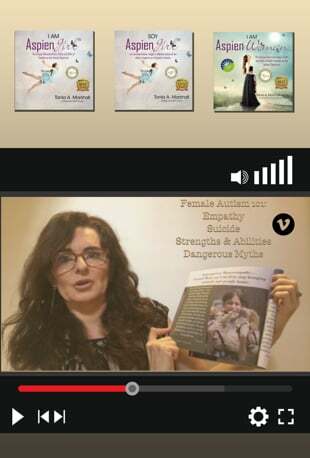 In order to assist with females and males obtaining an assessment or diagnosis, I am pre-releasing a part of my book to assist professionals in recognizing Autistic females and males by asking the right questions. The Compensatory mechanisms used by some Autistic people I have met and listened to are complex, even going so far as to use one behavior to cover up another. These questions and behaviors come directly from my professional experience as a psychologist working with individuals with Autism, Giftedness and Social Anxiety. Thank you to all my clients for sharing your stories with me. The Compensatory Measures Checklist©, Marshall 2017, excerpt from my from my upcoming book. Do you feel different than your peers? When was the first time you ever felt different? What exactly makes you feel different from your peers? What is your experience of social interactions with your peers like? Do you copy or mimic your peers (copy their voice or accent, words, and language or slang, hand and/or body gestures). Do you laugh when they laugh even when you don’t understand why you are laughing? Do you take on a persona of always smiling and pleasing everybody? Do you make better versions of yourself that based on peers in school, over time? How do you do that? Have you ever read books on etiquette, social skills, facial expressions, microexpressions? Have you practiced them in front of a mirror? Have you practiced making more or less of a facial expression? In particular, have you purposefully changed you smile or facial expression to look “more normal”? Have you studied anatomy books, in particular, the facial muscle that matches with each facial expression (for example, knowing that a certain muscle is used in smiling and practicing using that muscle? Have you ever used Botox or a similar cosmetic ingredient to make your face appear more natural, less angry or furrowed/worried? Do you watch YouTube videos on social skills, self-improvement, and human etiquette in order to fit in? Has a peer ever make a comment about your gait or other forms of behavior? If so, did you actively practice a behavior until you were able to make it look like your peers do when they behave that way? (for example, being told he/she had a ‘funny’ run and then purposefully practicing the running over and over again until it was perfect). Have you watched movies to learn how to act with your peers? (for e.g, learn that you need to have a big smile and say hello to everyone because that is how people will like you). Do you force yourself to make eye contact, look somewhere else on a persons face, look at their mouth or look at them for too long? Do you find yourself staring at people? Do you spend the majority of your time thinking about what to say, how to act or behave, and/or analyzing social situations? Do you analyze what you could or should have said in a prior or past social situation? Do you pretend to be shy and quiet and therefore avoid the “social drama” of having to navigate the social world of your peers? Do you have a permanent smile on your face even though you are miserable inside? Do others say you look angry when you feel happy or another emotion inside? Have you or do you taken.take on the persona of a book, television, movie character or a celebrity? Do you attend social situations, but don’t really want to (saying you will go to a party to get in with the “cool kids”). Do you do their homework for them to fit in? Do you do the groups work for the group to gaon social equity? Do you write in your journal what you think you should say or do or not say or not do and practice them over and over, so you can use them in school? Do you have a list of sayings, slang, words from songs, movies or social media that you use to be “cool” or try to fit in? Have you developed a special interest that is not yours but simply to “fit in” but you actually found that interest boring (for e.g, pretending to be in love with a certain pop star but you couldn’t care less about them)? Do you participate in social events, parties, clubs that you do not want to in order to gain social currency? Do you use the skills you have learned from YouTube, social media, books, movies when you are at these social events? Do you find that you have to begrudgingly attend these events? Do you use alcohol or drugs as a social lubricant? Does the use of drugs or alcohol allow you to be more social and/or have less anxiety? Do you utilize social media (Instagram, Twitter, Snapchat, Facebook, Reddit) to learn social nuances, how to interact socially, or how to hide your social awkwardness? Do you act in varying ways depending on the social situation that you are in? Do others comment on or notice that you act differently depending on who you are with, the social context or environment? Do you pretend to like the interests of whomever you are with at the time, however you know inwardly that you don’t like them? Do you make yourself look like you are interested in what your peers are saying, doing, how they are behaving, interested in their interests? Have you ever had a girlfriend/boyfriend that you inwardly said to yourself, “Why am I with this person? I don’t even like them”. Do you find yourself involved in friendships and/or relationships and wonder in your head why you are with them because you don’t really like them? Do you feel there are times when you can be yourself? Do you feel you always have to be “someone else” to be in this world? Is your headspace mostly filled with continual thoughts about what you should do next, do better, who to pretend to be like? Do you have a habit of giving gifts to make and keep friends? Has your family or another person supported you with social skills (enrolled you in drama, etiquette or social skills classes or a modeling school to learn deportment)? How long can you socialize for before feeling tired? Are there times where you actively find excuses not to attend events, parties, assembly at school, group activities? Do you often say “yes” to a social event and then make up a last-minute excuse as to why you cannot attend? Do you purposefully go to the library, become a prefect, girl scout leader, homecoming queen, cheerleader, debate team leader (so you can give the directions or debate rather than socialize)?. Do you try to become the teacher’s helper at lunchtimes, hide in the bathroom, walk the hallways alone, join lunchtime clubs, wag school, so that you do not have to socialize with your peers? Do you or are you reading or studying psychology, sociology, taking microexpressions and facial recognition training to learn to better yourself in terms of understanding people and socializing. Do you read social skills books, watch social skills training on YouTube or another social media platform? Have you learned from your studies and them practiced how to ask people questions, listening skills and/or other social skills? Are you overly aware of other people looking at you or pacing attention on you? Do you dislike attention? Do you feel like you spend the majority of your mental and physical energy on how you interact with others? Do you feel like an ‘imposter’ in social situations? The Compensatory Measures Checklist©, Marshall 2017, excerpt from my from my upcoming book. Thank you. A recent FAQ and theme in the thousands of Neurodivergent people I have worked with is, “Do I have an S (sociopath), a P (psychopath), an N (narcissist) or an L (loser) on my forehead???”. Yes, I have seen this time and time again. Toxic people are everywhere. 1 in 100 people are Psychopaths. They are at your work, they may be your boss, a colleague, a friend, a family member, a partner, or your own child. Neurodivergent people are more susceptible to these types of toxic people than Neurotypical people. Having said that, neurotypical people find it challenging to associate and untangle themselves from these kinds of people. Neurodiverse people (whether male or female) have a unique combination of traits that can set them up for being open to being taken advantage of. Susceptible people can also include: highly sensitive people (HSP), Empaths, intuitive individuals and co-dependent individuals. Just some of the characteristics and traits include: social naivety, taking what people say literally/believing in what people say to them, misreading other people intentions, a dislike of conflict and/or confrontation, a lack of boundaries, being passive, not understanding the unwritten social skills (let alone the Dark triad’s language and behaviors), having Alexithymia, and a lack of assertiveness. There are many more traits. It is critical that socially naive people learn the Dark Triad Personality’s language, words, actions and behaviors and understand that it is not their fault and that being with a toxic person can cause Post Traumatic Stress Disorder (PTSD). It is also critical that Neurodiverse people learn boundaries, how to assert themselves, including how and when to get out of a toxic relationship. The Molotov Cocktail is a video series that covers all this and more, from what makes a person more susceptible, to learning the Dark Triad language and their tactics, to what to do about it, how to respond or NOT respond and many tips. The series can be found here. Starting at Episode III of her video series, Tania discusses in a 6 part series, why Neurodiverse people are vulnerable to abuse and/or attracting the dark triad (often Narcissists, sociopaths or psychopaths) into their lives, why and how they often are taken advantage of, the red flags to look out for and what to do if they have toxic people in their lives. She helps Neurodiverse individuals to understand those with this personality type to and how to avoid them in the future. Part 1 is an introduction and answer to the question, “Do I have an S, N, P or L on my forehead?” Why is the dark triad attracted to me? Tania discussed the uniques qualities that make you a target for being set up to be involved with a toxic person. Part 2 reviews the unique qualities of Neurodiverse individuals, how the ‘dark triad’ find or seemingly find or are attracted to you, the red flags to look for in a toxic person, learning the ‘dark triad’ language (yes, they have their own language), helpful tips and actual case clinic illustrations. Part 3 delves deeper into the ‘dark triad language’, delves deeper into the characteristics and traits that you may have that attract them into your life, learning assertiveness, boundaries, how to speak to a toxic person, and including more case illustrations. Part 4 discusses what to do if you are married or have been married and/or have children with this personality type, the court system and how the dark triad uses it against you (communication is just one weapon they use). She discusses what a Neurodiverse person can do when you find yourself in this type of situation, strategies to keep calm and how to or how not to communicate with your dark triad ex or current toxic partner. Tania uses a case illustrations to illustrate her points. In part 5, Tania teaches Neurodiverse individuals the tools for understanding how to untangle yourself from a dark triad individual, how to identify and avoid this personality type in the future and obtain the appropriate professional treatment, if necessary. She also shares case illustrations to educate and help those individuals who are or have been conned by a toxic person. She also discusses what she has seen occur in therapy, from either side. 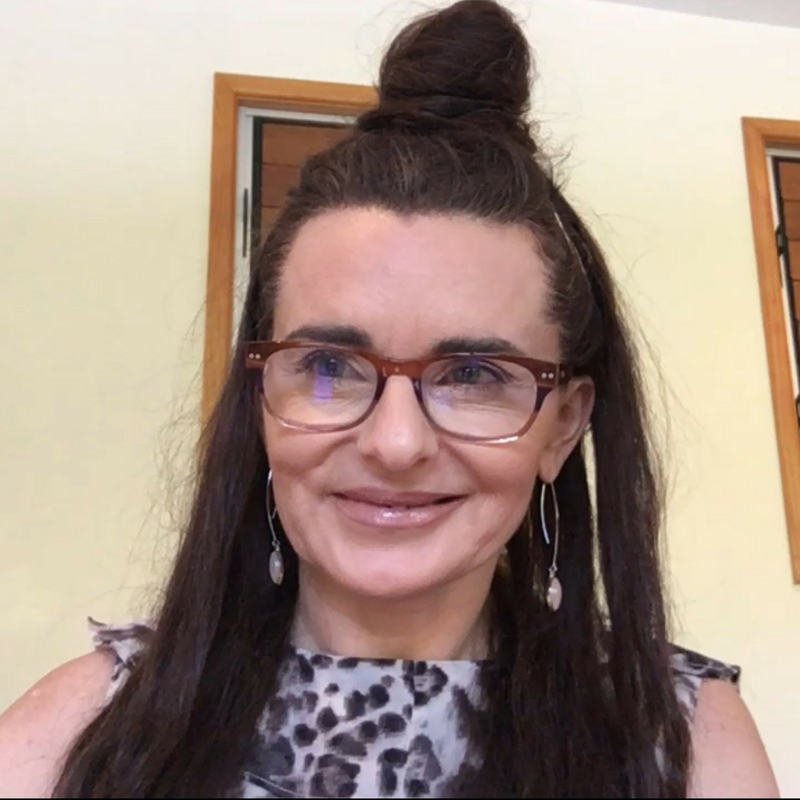 In part 6, Tania concludes with successful and positive examples of neurodiverse people becoming detangled from the toxic individual in their life, answers some FAQ’s, discusses more helpful tools and tips and more. Please keep in mind this series is an introduction the ‘Dark Triad’. 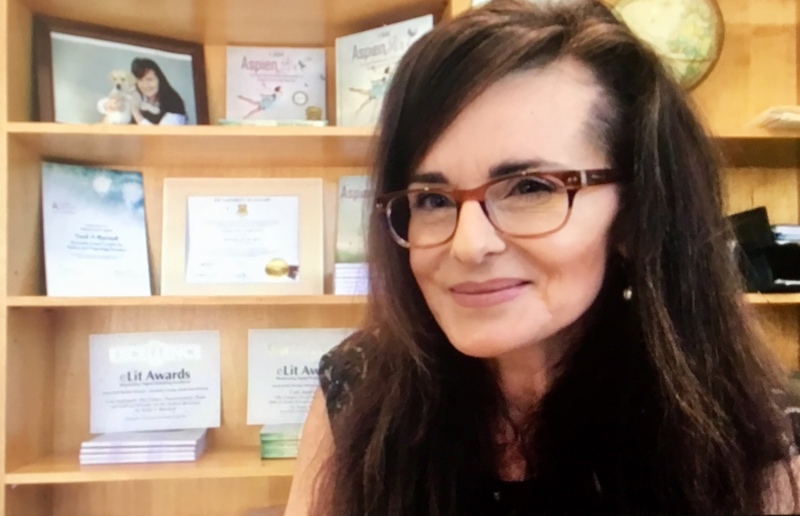 Tania uses case studies from her work to illustrate each topic in her video series because she understands how powerful these can be to the listener and many people have told her they feel “less alone”. Watch on iOS, Android, Apple TV, Roku, and Chromecast. “Thank you, Tania, for sharing your work from your lengthy career. It is life-changing”. 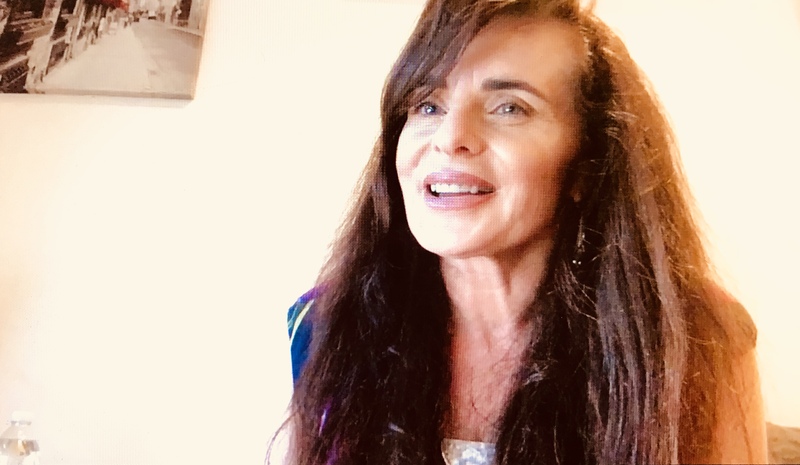 “Tania has a unique and positive refreshing view on those who are often entrepreneurial, out-of-the-box thinkers, utilizing their strengths to make meaningful contributions to the world”. If you have found yourself in a toxic relationship, tell us when and how you found out, what you did about it, and what worked or didn’t work. Leave a comment below and take care out there. Safety first! Just in! Videos: FAQ style, Educational, Instructional, Interviews and more. If you like a video or feel it would help someone, please share the video, like the video, subscribe to Tania’s channel and hit the bell to be notified when the next video is coming out. You can leave your FAQ in the comments section below and Tania will read and select a question to answer in the future. Tania will answer the video and it will be uploaded to YouTube. Click on a picture below and you will be taken to her YouTube page, where you can learn more from FAQ’s, conference, interviews and more. More Videos coming here soon. Don’t forget if you have an FAQ, leave it in the comments section here or better yet on YouTube and you may see your question being answered by Tania in the future. And always remember to ‘Be Your Own Superhero’.